So my regular readers know that I’m a self admitted product junkie. I tried (in vain) last year to curb my habits but alas, I’m just too excited when I hear about new places where I can get products from. When I first went natural, I really struggled to find all of the blogged and vlogged about products I saw in my favourite YouTubers’ videos. And I felt short changed by it all. Surely it can’t be that hard to get my hands on such coveted products? Well, there’s a fab new store for us short changed naturals to get some goodies! Don’t you just love this logo?! Tender Loving Hair (TLH) is a South African based and run online store that offers us natural girls possibly the widest variety of Shea Moisture products I’ve seen in South Africa. 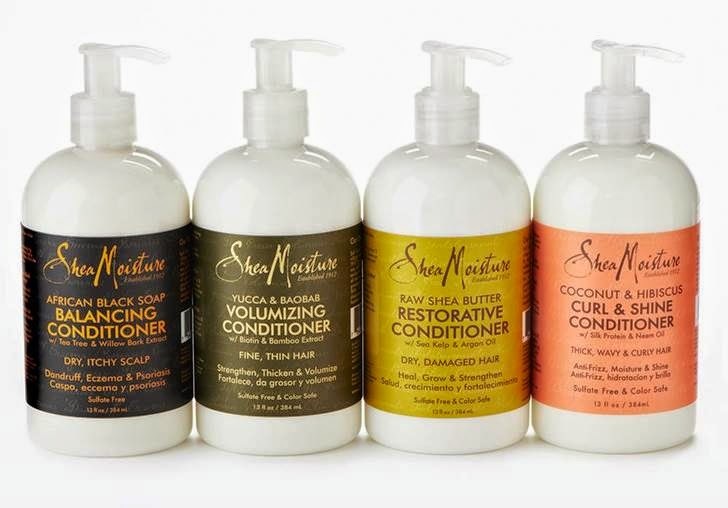 Started by two South African ladies Karabo and Beatrice, Tender Loving Hair offers Shea Moisture at affordable prices. They not only have the Coconut & Hibiscus Collection (all the rage in YouTube land) but they also sell Raw Shea & Argan Oil Collection (for dry, damaged hair), African Black Soap Collection (for dry itchy scalp) and the Yucca Baobab Collection (for thin, fine hair). Umm, so my product junkism is here to stay methinks, can you blame me? Im from the Netherlands, coming to Pretoria for 6 months. I'm very excited and I was wondering if you know some physical stores nearby, selling natural hairproducts. Thank you so much!! I have been searching for these products since Cynthia of at @Simplycyn let us in on her little secret products that she uses for her Juicy twists. Am ordering mine right away, and see how i survive winter with my own natural twist instead of extensions. FYI: I found Orgnixs (OGX) at Foshini stores (apparently some Clicks stores too but I did a bit of a search nothing yet)….all you gorgeous naturals will love this brand and it goes so nicely with Shea Moisture products!! Hey Fanta! I haven't yet used the curl milk but I'm dying to. The entire range just looks fab fab fab! this sounds like heaven for my hair. checking it out. Aisha, there was one product you used on your 30 day style.tried those people and never got a respond, do you know how i can get hold of them? Hey Vhutali, thanks for your comment do check them out when you can. Regarding the other brand I used in my 30 updos challenge, I'm assuming you're talking about Afro Botanics? I'm no longer advocating that brand so unfortunately I can't help you contact them. Sorry for that. Thanks for sharing doll. I am a new natural (2 months since the BC), I have been trying most of the blogged about products but my hair is thick and dry..combing it is a mission. I'm looking for a product that will not leave my hair so dry. Thanks Aisha, will try that. I have been afraid to get my hair wet everyday..not sure if that will also dry it out. Just to add on Aisha's comment. Have you tried using glycerine and YES i mean glycerine, you simply mix a reasonable amount that you feel is right for you with water. Spray your hair until it’s damp and comb it whilst damp but use your fingers before using your comb (minimize breakage). You will be surprised how soft your "thick" hair gets. Also use glycerine alone when you prep your hair for sleep, a small amount goes a long way. Simply rub your hands until the oil is warm and plat your hair as you normally do – assuming you either twist or braid your hair before you sleep. CAREFUL not to use too much as your will have an unnatural shine :-).